Lorenzo won his first Gold medal at the European U19's and the British Men's Championships during his first few years at university. He is now part of the Olympic Development Squad with the goal of representing Team GB internationally in the World and European Championships in the run up to the Olympic Games. Most recently, Lorenzo won bronze in the first world cup regatta of the Tokyo 2020 Olympic Games cycle. This win means he is now ranked third in the world. Peter has been on the water since the age of four when his grandparents bought a small boat for him and his brother to share. This pushed him to become competitive and proved he had the skills and enthusiasm to pursue his sport further. 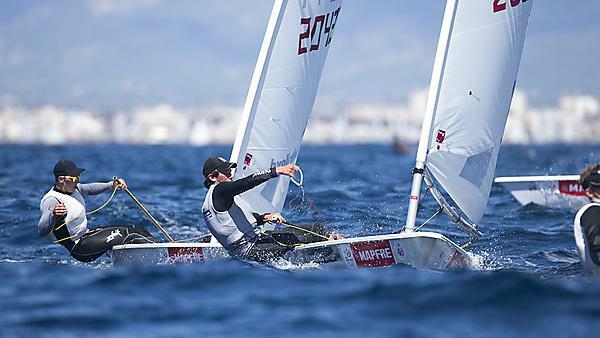 During university Sporting Excellence Scholar Pete McCoy placed in the top three of the final race of the 2014 Finn Junior World Championships and became part of the British Sailing Team. Oliver was drawn to the offshore sailing world when he saw the 2011/12 Volvo Ocean Race – the boats, the crew work and the sailing. He was attracted to study with Plymouth University by the combination of course, facilities and location on offer plus the sporting excellence scholarship. During his sporting career he has won many races including the IRC National Champions in 2013, Cowes Week 2014, and the RORC 2015 as Class 40 winners. In 2017, Ollie was part of a team that broke the Round Island Race record, an event that sails around the Isle of Wight and hosts over 1300 boats and 16,000 sailors. His goal is to continue winning and compete in the Volvo Ocean Race. Originally from Scotland, Matthew's heart was set on relocating to Plymouth University to further his studies and realise his sporting dream on the open water. Matthew began competing at the age of 14, a highly motivated individual who achieved high level success in various water sports through pure determination. Since graduating from Plymouth University Matthew now used his expertise to support others as he develops his skills as a professional windsurf coach.